When you’re making a dynamic presentation for a client, you need software tools to help you express your ideas simply without the need for a lot of technical expertise. The new Zoho Show has been designed to simplify this process with an intuitive interface allowing you to create your content simply instead of spending your time trying to master the software. 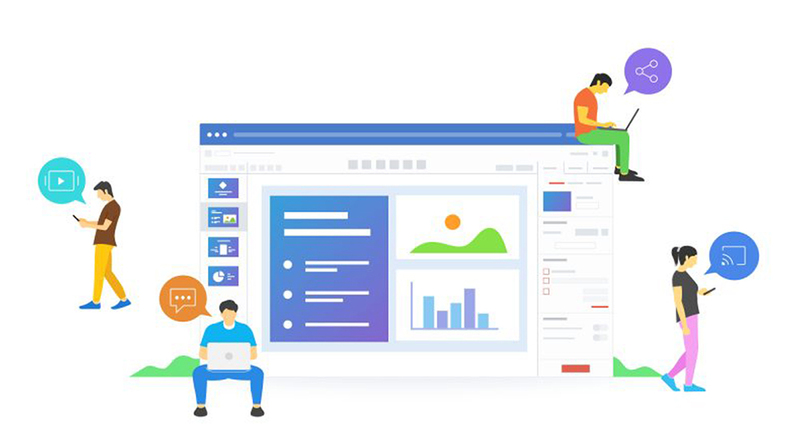 The goal of Zoho Show, according to the company, is to let users create, collaborate, present, broadcast and publish presentations with a tool that simplifies the process in a much smarter way. With the new Show, you can create and make your presentations anywhere. 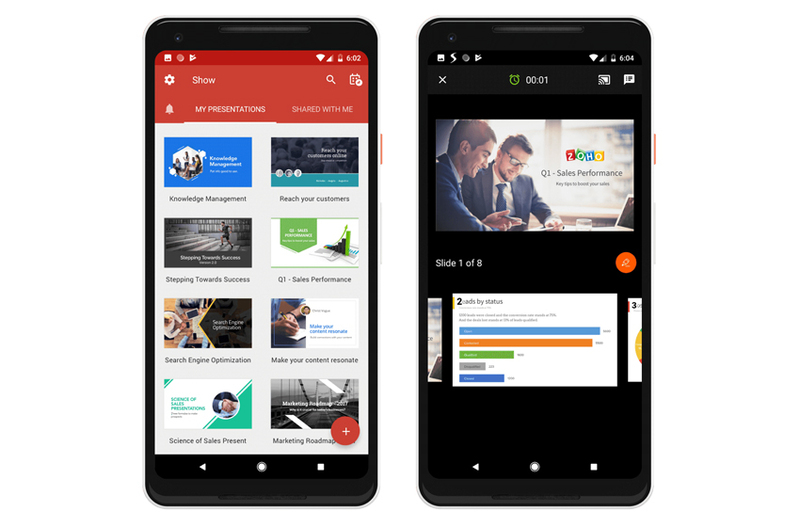 Zoho Show offers small businesses a presentation tool accessible on mobile and able to broadcast on a variety if other platforms and devices. The company says it has also focused on making this tool as easy to use as possible. Zoho started with a contextual interface so users can craft their stories without the software getting in the way. A clean interface with an intuitive formatting pane quickly responds to the actions of the user without you having to search for the right tool within the application, the company says. The tools that are available within Show include custom text boxes, silhouettes, image filters, pre-defined layouts for charts and tables as well as more than a dozen animation options for elements within a slide. While you are in the process of creating your presentation, team members can collaborate and brainstorm using the commenting system in Show. Team members can provide suggestions, add rich text comments to highlight ideas and even attach images to make a point. And if you need to import PowerPoint files, Show can do it without any formatting issues while letting you work on them online. When the presentation is completed, you can pitch it to your audience by broadcasting it remotely. Or you could use the platform’s Presenter View feature to deliver your presentation face-to-face from anywhere. Your final product can be streamed on your Android TV while controlling your sessions with the Show app for Android devices to keep your presentation looking professional. Zoho has created a suite of applications for the entire business ecosystem. The open application programming interface the company uses has been integrated with other popular solutions including Microsoft Word, Excel, Google Apps and more. Zoho Corporation is a business management software (SaaS) developer and information technology company based in California and India with 5,000 employees.